Intelligent Brake and Reverse (iBR) - With our exclusive Intelligent Brake and Reverse (iBR) system you can stop up to 100 feet (30 m) sooner than other watercraft. Plus, get added maneuverability and simple docking. Convenience Package - It’s a package that adds great value with two of our most popular optional features. Get the front storage bin kit and bring along your personal belongings. 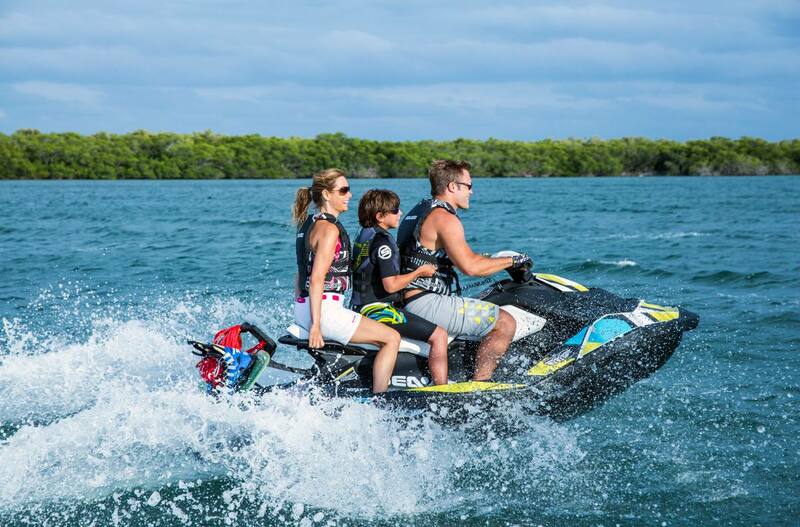 And make reboarding easier with the Sea-Doo Step. Polytec: Is a recyclable, low density and high-impact composite material that includes polypropylene and long glass fiber reinforcements. It was designed for hull and deck applications to maintain the structural integrity of the watercraft under stress while providing light yet durable parts to support the construction of the product. iTC (Intelligent Throttle Control): Fly-by-wire system that works electronically (no cables) to transfer the input from the throttle lever to the engine. It’s a more responsive and precise throttle control that generates better engine calibration and fuel consumption. It also allows for different riding modes like the sport mode that’s available with the Rotax 900 HO ACE engine and it’s activated by pressing the button under the cluster for 3 seconds. 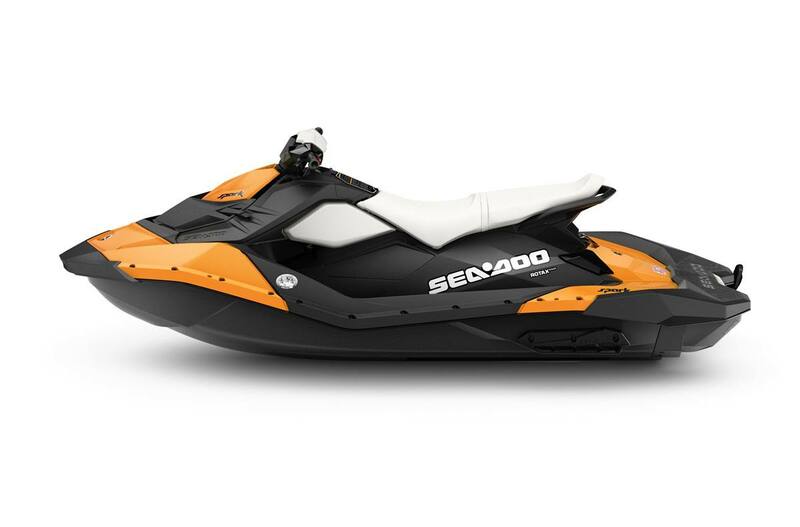 D-Sea-Bel™ system: Combines a series of resonators and vibration- absorbing components to make Sea-Doo watercraft some of the quietest on the water. Interactive Multifunction Digital Information Center: Reports up to 15 key operating functions including: Touring mode, Sport mode (HO engine), Fuel level, Tachometer, Speedometer, Hour meter. Seating Capacity: For 3 persons, the slim seat allows riders to have more mobility and freedom of movement on the watercraft. Engine: This is an 899 cc four-stroke engine, with three cylinders and four valves per cylinder. It allows for the creation of the most compact and lightweight engine on the market. Built with the acclaimed Advanced Combustion Efficiency technology it’s also the most fuel-efficient watercraft in the industry while still delivering excellent power-to-weight ratio. iBR (Intelligent Brake & Reverse system) (opt with HO engine): Sea-Doo’s exclusive on-water braking system, iBR lets you stop up to 100 feet sooner than competitive units. All with the squeeze of a lever. And with its electronic reverse, it gives you a level of maneuverability that makes docking easier. Colors available: Vanilla, Pineapple, Orange Crush, Licorice and Bubble Gum. 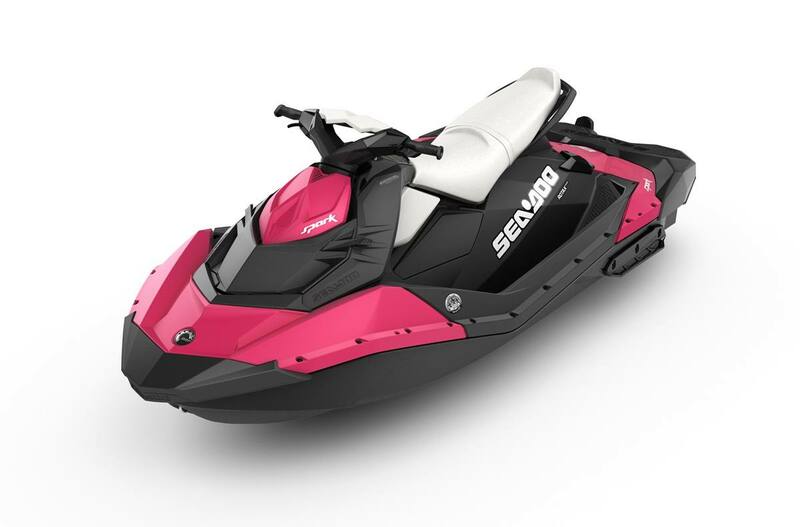 Attitude Graphic Kit: 26 options with 3 different levels of wrapping enable you to personalize your Sea-Doo SPARK even more.